The hospitality industry’s premise of breakfast self-service and the advantages it offers from a caterer’s perspective are now clearly spilling over into the education sector. Even within breakfast service, venues are moving away from the usual soft drinks line-up of juices, smoothies and water from those familiar iconic brands. Instead students and obviously the caterer is now seeking something different; but flavoursome. But, how to tackle this? The solution is to re-think the approach. Granted there will always be a place for a traditional line-up of juices (typically orange and apple), however even in the juice arena intrigue for new flavours is stretching the boundaries. With a focus on health, time of the essence and reducing food waste catering managers are seeking alternatives. Whether this is buying in ready to drink juices and smoothies that can be served from dispensers like Juice Cubes or offering alternative hydrating drinks such as Hydration Juice. Here, you can see more and more intriguing flavours are entering the realm, such as Green Tea and Lemon, Peach or Rhubarb. Clever presentation with supporting POS highlighting the benefits can reap long term financial rewards, particularly with these hydrating concentrate juice drinks. 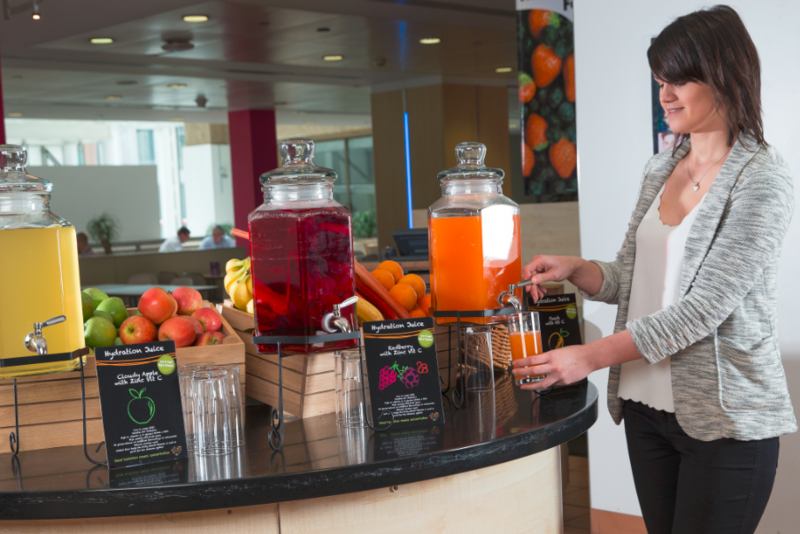 The added benefits are that these juice drinks are generally naturally lower in sugar and high in vitamin C, so catering managers are able to offer enticing flavours, while also responding to concerns about sugar content.